Behavior change is one of the most difficult things for people to accomplish. To change behaviors and habits, especially long standing ones, a fundamental shift in values and beliefs need to happen. In most cases, unless motivated, most employees will have a hard time making healthy lifestyle changes. This is where incentives can help. While there is controversy about wellness incentives and if they actually work, 75% of wellness programs do include incentives to encourage participation. The goal of a wellness program is for employees to adopt and maintain a healthy lifestyle for the long run - ideally, permanently. Traditionally, improving lifestyle behaviors revolved around education, but today that isn’t enough to get many to quit smoking, stop eating junk food or go to the gym. Now companies are using money, gifts and sometimes penalties to encourage employees to be healthier. Consider your company culture and how company values and goals are aligned with wellness. Culture and wellness need to be united in order to present a clear and believable message that employees can buy into. Listen and communicate with employees and their superiors. Find out firsthand what they are looking for in a wellness program and what types of incentives will motivate them the most. Incentive design that takes into account what employees want will support them and their goals and reflect well on the workplace environment. Do your research to avoid trial and error. Once underway, monitor and track your programs with reporting and feedback to determine if any adjustments or changes need to happen. Most every successful wellness initiative provides some type of incentive program to help employees with their journey to health. Here are some incentives ideas that promote healthy behaviors that some of our customers provide broken down by budget. Besides choosing which rewards you want to give there are three primary types of incentives that may work better than others depending on the type of wellness initiative. Participation-based incentives – rewards for anyone who participates in the wellness program. This option is obviously the most inclusive and encourages overall participation. Progress-based incentives – these rewards are given to participants that are on route to reaching their goals, such as weight loss or number of steps counted. This option is fairly inclusive and ensures active participation. Out-come-based incentives – awarded to participants that meet a certain goal, such as healthy BMI levels or decreased risk for diabetes. Some look at this incentive rewards as the least inclusive as it excludes participants who haven’t reached their goal yet however, for the most part it still provides value as it shows employees where they need to be to really maximize their health. There is no doubt that wellness programs with the right structure of incentives can offer employers a significant opportunity for savings when the employees are engaged in the process. While the overall objective of wellness programs is to improve employee health and reduce the overall cost of health coverage, these initiatives also improve company morale and ultimately can increase productivity. 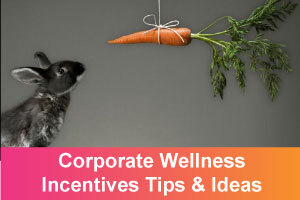 There are 10+ must have’s in corporate wellness technology - administering wellness incentives is one of them. 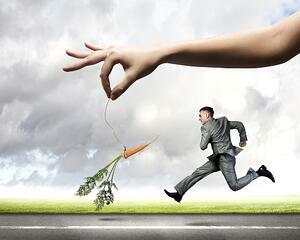 Interested in how CoreHealth makes incentive tracking easy?